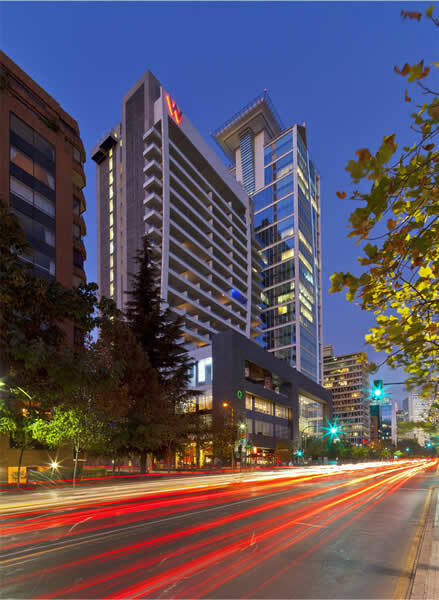 The W hotel is located in Santiagos classy district Las Condes. In the interior design, one can recognize the “W style” of bright colours and a mixture of adventurously modern and functional, comfortable furniture and decoration. 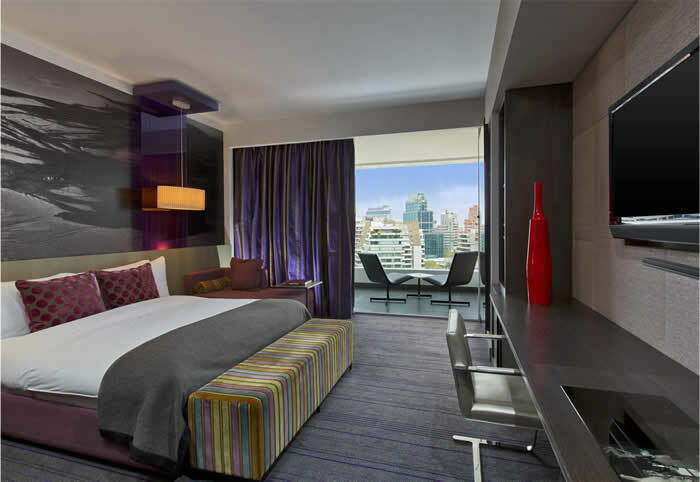 High ceilings and huge windows provide plenty of daylight and the bathrooms are equipped with relaxing rainforest showers. 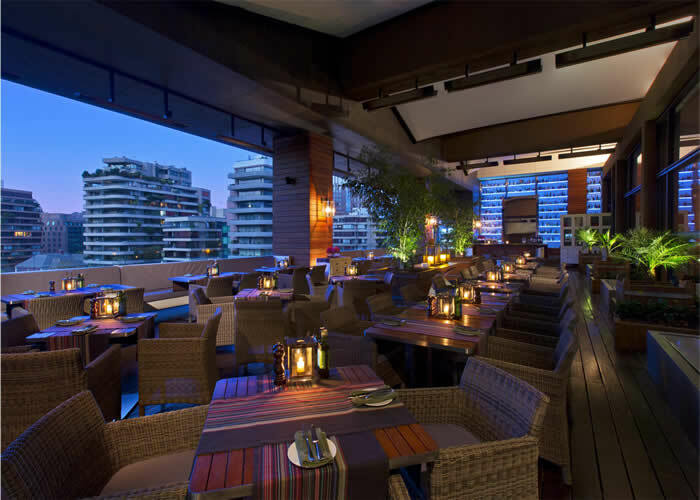 The Hotel offers three different restaurants, where local gourmet dishes invite to know the typical tastes of the Chilean regions. 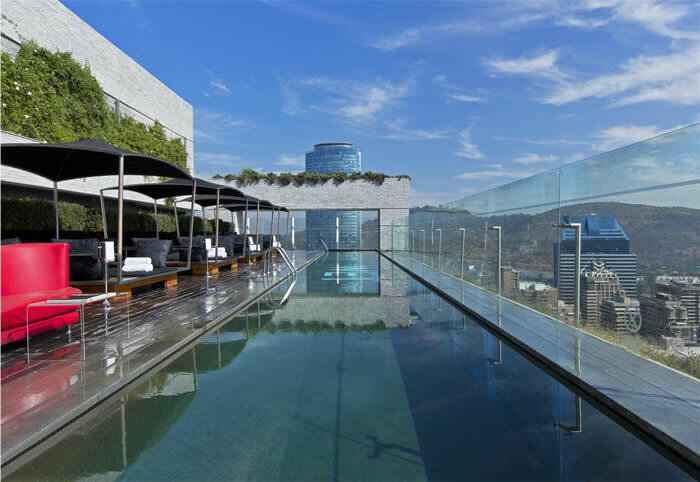 On the rooftop, a live DJ provides the right sound for the relaxing atmosphere in the pool and the lounge.